A shortlist of sports in contention to be added to the Olympic programme will be revealed by Tokyo 2020 on Monday morning (June 22) at a special event in the Japanese capital, it has been announced. A total of 26 International Olympic Committee (IOC)-recognised sports submitted applications earlier this month, with these set to be whittled down ahead of a second phase of the process which will include presentations to Tokyo's Additional Event Programme Panel ahead of a proposal to the IOC on September 30. Baseball and softball are considered the favourites, along with squash and karate, which was showcased before several IOC members earlier this month at the European Games in Baku. Bowling, snooker, roller skating, sport climbing, surfing and wushu are others with serious ambitions. The other 17 are not contenders. These consist of air sports, american football, bowls, bridge, chess, dancesport, floorball, flying disc, korfball, netball, orienteering, polo, racquetball, sumo, tug of war, underwater sports and water skiing. It unknown how many sports will be shortlisted, and how many will ultimately be added. 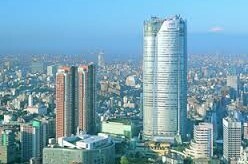 The announcement is due to be made at 10:30am local time at the Toranomon Hills Mori Tower hotel, with the chair and vice chair of the Additional Events Programme Panel, the head of imaging giants Canon Fujio Mitarai and Tokyo 2020 chief executive Toshiro Muto, in attendance. New sports must be a "driving force to promote the Olympic Movement and its values, with a focus on youth appeal", it has been explained, while they must also "engage the Japanese population and new audiences worldwide, reflecting the Tokyo 2020 Games vision". Final confirmation following the Tokyo 2020 proposals is then expected to be made at the IOC Session in Rio de Janeiro in August, 2016. One interesting question related to the applications concerns roller skating, and whether the discipline of skateboarding has been included within its application. This has been a source of controversy, with the International Roller Skating Federation, the International Skateboarding Federation (ISF) and the World Skateboarding Federation (WSF) - the three bodies vying for control of the sport - having met with the IOC several times in recent weeks to discuss a possible collaboration. Because neither the ISF nor WSF are IOC-recognised, the only means by which skateboarding was eligible to apply was under the FIRS banner. Both the FIRS and Tokyo 2020 told insidethegames that they cannot divulge contents of applications at this stage. ISF President Gary Ream, meanwhile, told insidethegames that "all options are possible".